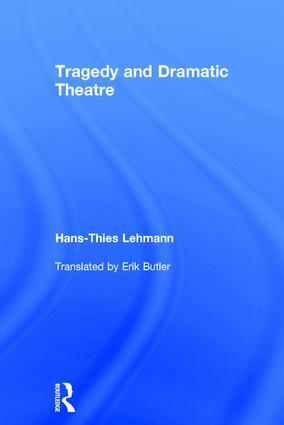 This comprehensive, authoritative account of tragedy is the culmination of Hans-Thies Lehmann’s groundbreaking contributions to theatre and performance scholarship. It is a major milestone in our understanding of this core foundation of the dramatic arts. From the philosophical roots and theories of tragedy, through its inextricable relationship with drama, to its impact upon post-dramatic forms, this is the definitive work in its field. Lehmann plots a course through the history of dramatic thought, taking in Aristotle, Plato, Seneca, Nietzsche, Heidegger, Lacan, Shakespeare, Schiller, Holderlin, Wagner, Maeterlinck, Yeats, Brecht, Kantor, Heiner Müller and Sarah Kane. Professor Hans-Thies Lehmann is one of the most eminent and internationally renowned German theatre scholars. He is a leading expert on Bertolt Brecht and Heiner Muller, and President of the International Brecht Society. His groundbreaking study Postdramatic Theatre (1999) was translated into more than twenty languages and has made a pivotal contribution to the theorisation of contemporary international theatre and performance practice.